Protein powder drink mix helps with muscle maintenance and assist muscle recovery. 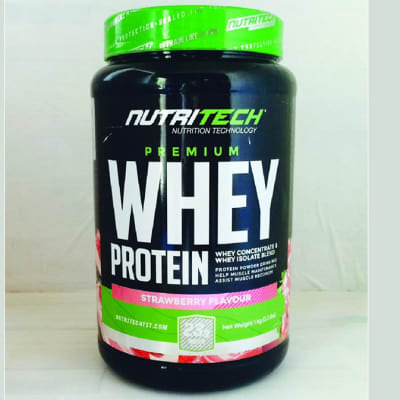 NUTRITECH PREMIUM WHEY PROTEIN has been formulated with a precise blend of rapidly releasing micronized whey protein concentrate and whey protein isolate, with 23 g of protein per single serving (72%). An exceptional choice of protein by any athlete, with a comprehensive amino acid profile providing all essential amino acids and 2.7 g of Leucine per single serving. The high protein intake has been designed to provide the ideal environment to support lean muscle growth, recovery and strength gains. NUTRITECH PREMIUM WHEY PROTEIN is fast absorbing, perfect to gulp down post workout. Research shows that Whey Protein has the highest BV (Biological Value) of all proteins available in nature and has the highest rate of nitrogen retention. Evidence suggests that Whey Protein contains higher levels of essential amino acids than other proteins, promotes lean muscle growth and improves athletic performance Evidence suggests that the BCAAs (Leucine, Isoleucine and Valine), found in NUTRITECH PREMIUM PURE WHEY protein, can assist in muscle maintenance, repair and lean muscle building in athletes. Studies show that Whey Protein can: Promote weight loss Improve immune-system function Prevent heart disease, diabetes and bone loss. Dosage: Mix 2 or 4 scoops with 200 to 400 ml of water or milk in a NUTRITECH shaker. Take 1 to 3 servings per day. Use within 20 minutes of exercise. To add more protein to your diet, take 2 or 4 scoops before exercise and between major meals. Lean muscle growth. Muscle strength and Recovery. 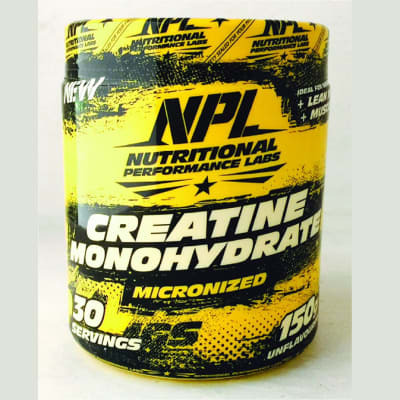 NPL’s Creatine provides the purest, most readily absorbed form of creatine available. Through many clinical studies, creatine has been shown to be effective in increasing strength, power and anaerobic endurance. Creatine is stored as phosphocreatine in the muscle tissue. This substance provides energy for muscular contractions. Phosphates produced from creatine are needed for regenerating adenosine triphosphate (ATP) molecules, which is the main fuel for the enzyme motors of the muscle in high-intensity training. This in turn increases energy levels and optimises recovery rates. Creatine supplementation has also shown to buffer lactic acid build up during training. TYPICAL NUTRITIONAL INFORMATION Per 100g Per 5g per serving %NRV Per serving Serving size: 1 Rounded scoop(5g) Micronised Creatine Monohydrate 100g 5000mg *% NRV-Nutrient Reference Values for individual older than 4years. Ingredients: Micronised Creatine Monohydrate. RECOMMENDED USE: Mix 1 rounded scoop (5g) with 150ml-250ml of water or your favourite sports drink 1-3 times per day, preferably on an empty stomach. On training days consume before and directly after a vigorous workout. On non-training days consume 2servings 6-12hours apart, or as recommended by your fitness advisor. Body Weight Suggested Dose. <65KG 5gms Daily 65-85KG 7.5gms Daily 85KG+ 10gms Daily Allergens: None Known- This product is manufactured in a facility that uses materials containing milk, Wheat, Eggs, Fish, Peanuts, Shellfish and Tree Nuts. (Allergen control in place) NOTE Not intended for use by persons under the age of 18 years. Do not use if you are pregnant or nursing unless prescribed by a sports physician/dietitian. Maintain an adequate state of hydration while using the product. Consult your Doctor prior to use. High Protein lean muscle mass gainer, High in calories for lean muscle gains. 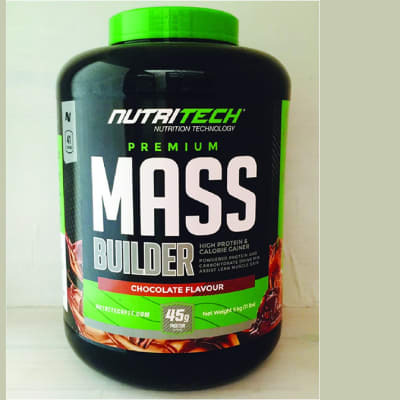 Mass Builder has been formulated with a precise blend of four protein sources, including whey protein concentrate, whey protein isolate, calcium caseinate and milk protein, with 45g of protein per serving (37.5%). 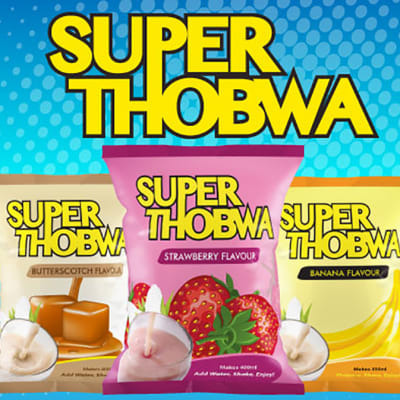 An exceptional choice for the hard gaining athlete, with over 428 calories per single serving, combining 2g of creatine monohydrate and 20 vitamins and minerals with a combination of low and high GI carbohydrates, including fructose, waxy maize starch and maltodextrin, totalling 60g of carbohydrates per serving (50%). The high calorie and protein intake has been designed to provide the ideal environment to support lean mass building for the hard gainer. NUTRITECH PREMIUM MASS BUILDER is perfect to gulp down post workout and throughout the day to increase calorie consumption. Branched Chain Amino Acids. Evidence suggests that the BCAAs (Leucine, Isoleucine and Valine), found in NUTRITECH PREMIUM MASS BUILDER, can assist in muscle maintenance, repair and lean muscle building in athletes. BENEFITS Helps maximise lean muscle weight gains. Ideal for before or after workouts, high in calories. Instantized for easy mixing and digestibility. High premium quality whey protein. Dosage: Mix 2 scoops (±120 g) with 300-400 ml of cold water or milk in a NUTRITECH shaker. Vary the amount of liquid to achieve desired consistency. Drink 2-4 servings daily with one serving within 20 minutes of exercise. To increase your protein and calorie intake per serving and to achieve an amazing milk shake taste, use milk. Micronised L-Glutamine powder drink mix, helps protect lean muscle and increases recovery. Assists protein synthesis post work out. L-GLUTAMINE has been formulated using a micronized form of the semi-essential amino acid l-glutamine, with 5000 mg per single serving. An exceptional choice for the athlete looking to protect lean muscle during and post intense workouts, assist protein synthesis and boost recovery. During intensive training the body can lose large amounts of Glutamine, resulting in muscle breakdown. L-GLUTAMINE combats this through the positive role glutamine plays in protein synthesis and its action as a potent anabolic agent. Micronized l-glutamine dissolves quicker in water and can be added to pre and post-workout mixes for added benefit. L-GLUTAMINE is highly versatile and perfect companion an athlete’s pre and post-workout regime. 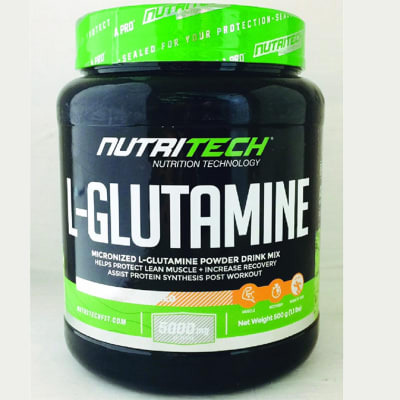 L-Glutamine helps: Support recovery, Strengthens Immune System, Muscle Protein Synthesis, Crucial for Strength Activities, Stimulates Growth Hormones, Dosage: Mix 1 flat scoop with water or beverage of choice in a NUTRITECH shaker before and immediately after training. Take 2 to 4 servings per day. High energy sports drink mix. Electric Strawberry flavour. A formula of 3:1 Carbohydrate to Protein ratio, Amino acids and Electrolytes combined; with Caffeine. 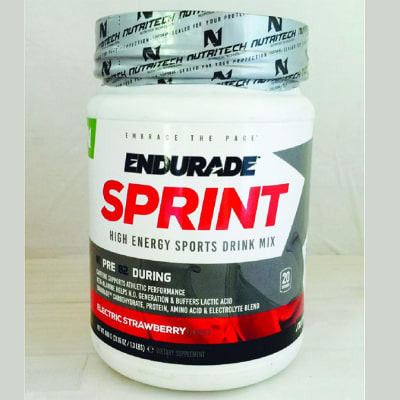 A known stimulant that may enhance endurance and athletic performance when used before and during exercise, as well as enhancing reaction time and cognitive (mental) function. Beta-Alanine: Studies show ingesting Beta-Alanine prior to and during endurance and high-intensity training (HIT) can have significant improvements to VO2 peak, time to exhaustion (TWD) and promoting explosive energy through Nitric Oxide (N.O.) generation. Beta-Alanine increases muscular carnosine which helps to work as a buffer against lactic acid build-up, the main cause of muscle fatigue. Electrolytes: Electrolytes have been shown to regulate energy and balance pH levels in the body. Electrolytes are lost through perspiration. Amino Acids: Branched Chain Amino Acids can assist in muscle maintenance, repair, lean muscle building and are the most used supplement for increased athletic performance and endurance. Ideal for: The endurance athlete. Ideal pre- and intra-workout for athletes competing in shorter sprint distance sports. Tri-athletes, road cyclists, swimmers, downhill mountain bikers, rugby, football and cricket teams. Dosage: Mix 1-2 scoops (±30-60g) with 250-500ml of water (room temperature). Shake thoroughly and drink immediately and/or intermittently during exercise. Providing 100mg of Caffeine and 1000mg of Beta-Alanine per single serving. * Consume a serving of ENDURADE™ RECOVERY MILK directly after training or competition for rehydration and recovery. Other information: Do not take within 5 hours of bedtime if you have difficulty sleeping. Caffeine sensitive individuals, assess individual tolerance with half a scoop before adding multiple scoops. Creatine Mono has been designed to increase the production of energy that enables muscles to perform at a higher intensity. 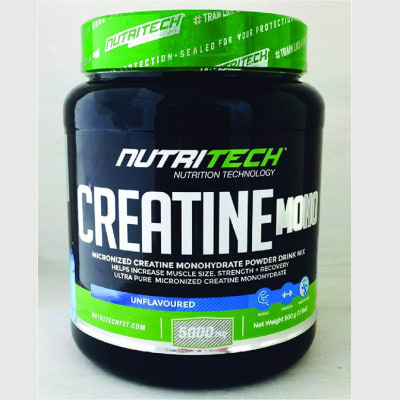 CREATINE MONO has been formulated using micronized pure creatine monohydrate, with 5000 mg per single serving. An exceptional choice for the athlete looking to increase strength, sporting performance, muscle mass and boost recovery. Micronized creatine monohydrate dissolves quicker in water and is able to be stored in your muscles in amounts appreciable enough to assist in building muscle and strength. CREATINE MONO is the original and perfect companion an athlete’s pre and post-workout regime. CREATINE MONO has been designed to increase the production of energy that enables muscles to perform at a higher intensity. The more energy your muscles store, the better they can perform in events requiring intense immediate energy, such as; athletics, hockey, rugby, soccer, swimming and weightlifting. Through extensive research and testing, it has been found that CREATINE MONO, when combined with a professionally designed diet and workout program, increases muscle mass and muscle girth. Due to the muscle mass gains, it may also result in initial weight increases. Creatine Monohydrate has been designed to increase the production of energy that enables muscles to perform at a higher intensity. Zero Calories, Carbs or Sugars Strength and Recovery Support Unflavored For Easy Stacking Directions: Mix 1 flat scoop with water or beverage of choice in a NUTRITECH shaker. Take 2 to 3 servings per day, evenly spaced, on an empty stomach. After 8 weeks of continued use take 1 week off and start the cycle again. Designed to help boost your energy and focus levels during times of increased mental and physical exertion. Anytime energy drink. 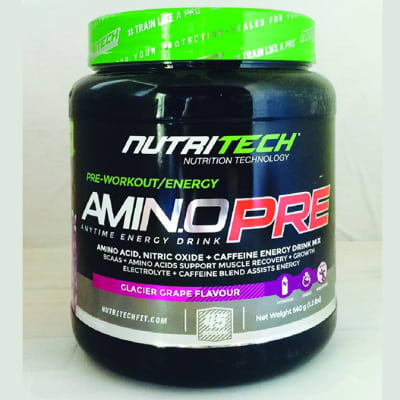 Amino Pre is formulated with a unique blend of Essential Amino Acids, Branched Chain Amino Acids, Electrolytes, Beta-Alanine and Caffeine. AMINO PRE combines the benefits of these key ingredients with a double shot of Caffeine to bring you a refreshing drink, suitable for any time of the day and designed to help boost your energy and focus levels during times of increased mental and physical exertion. Energize. Focus. Recover. CAFFEINE is a known stimulant that may enhance endurance and performance when used before exercise, as well as enhancing mood and cognitive (mental) function. AMINO ACIDs and BCAAs can assist in muscle maintenance, repair, lean muscle building and are the most used supplement for increased athletic performance and endurance. ELECTROLYTES have been shown to regulate energy and balance pH levels in the body. Electrolytes are lost through perspiration. BETA-ALANINE may benefit body and muscle mass, muscle strength, and exercise performance in many types of athletes. AMINO PRE is high in Caffeine. Do not take within 5 hours of bedtime if you have difficulty sleeping. Caffeine sensitive individuals, assess individual tolerance with 1 scoop before adding multiple scoops. Dosage MORNING KICK-START/MID-DAY ENERGY Mix 1-2 scoops with 200ml-300ml of cold water. Shake thoroughly and drink. PRE-WORKOUT Mix 2-3 scoops with 300ml-400ml of cold water. Shake thoroughly and drink 20-30 minutes prior to workout, on an empty stomach. 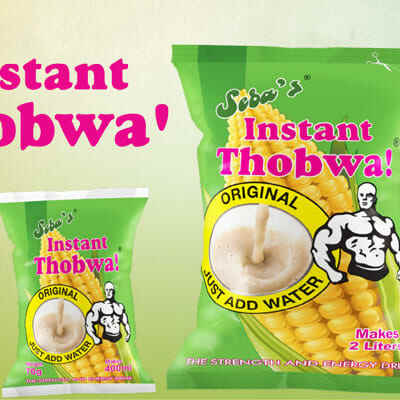 Can be taken as a pre- or intra-workout to increase stamina.